Want to look before you leap into an iPhone 4S? OpenSignalMaps used 46,600 speed tests from real-world users (ironically, using an Android app) to find out where carriers are bringing the top speed, and where they’re lagging behind the others. As you can see in the map above, the iPhone 4S on AT&T will be the speediest in 31 states in the U.S., with Verizon coming in a distant second in 6 states. Sprint didn’t win any states at all. Those other greyed-out states didn’t gather enough data for reliable results. 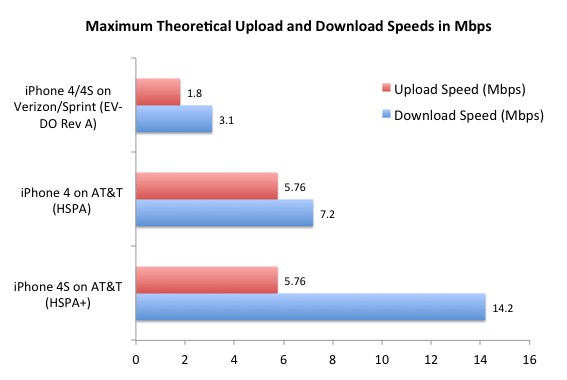 The researchers at OpenSignalMaps emphasize this doesn’t mean AT&T’s network is the overall fastest, but that the iPhone 4S will perform faster on that network (in certain states) than on the other two. Also keep in mind — this data doesn’t take into account the frequency of dropped calls. According to OpenSignalMaps’ crowdsourced results, that translates into a real-world speed advantage. One of the more useful parts of the OpenSignalMaps interactive page is its service plan comparison tool, where you can set its filters on which iPhone you’d like, which networks to compare, and amounts of talk time, SMS, data and storage you want, and then compare prices. To interactively drill down into the data state-by-state, compare the various carriers, their service plans, the resale value of the phones, as well as their upgrade and return policies, go to the OpenSignalMaps site, where you can sift and filter the data yourself to find out exactly which iPhone 4S is best for you.